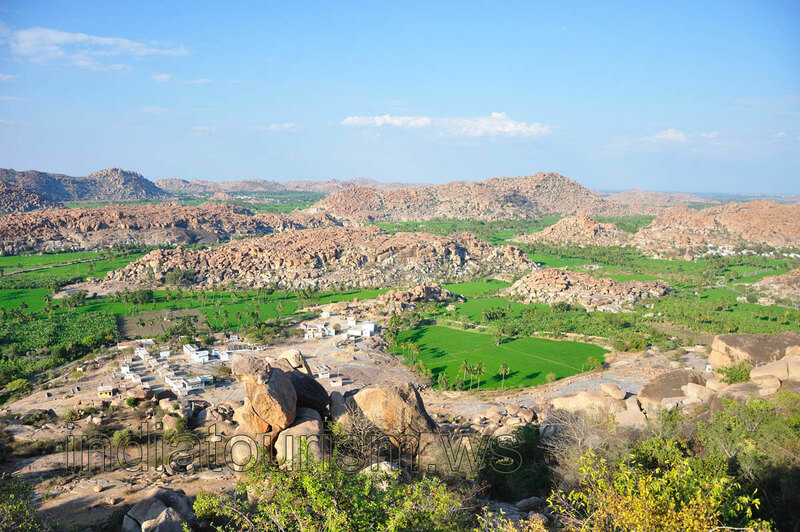 An amazing view will open before your eyes if you turn your back to the Hampi village. This is the northern direction view from the Monkey temple. There are the sunny paddy fields and hills of boulders underneath. If you are planning a trip to India, then it is a must to be in Hampi. Hampi is surrounded by the wonderful and unique nature, the like of which you will not find anywhere else in the world.